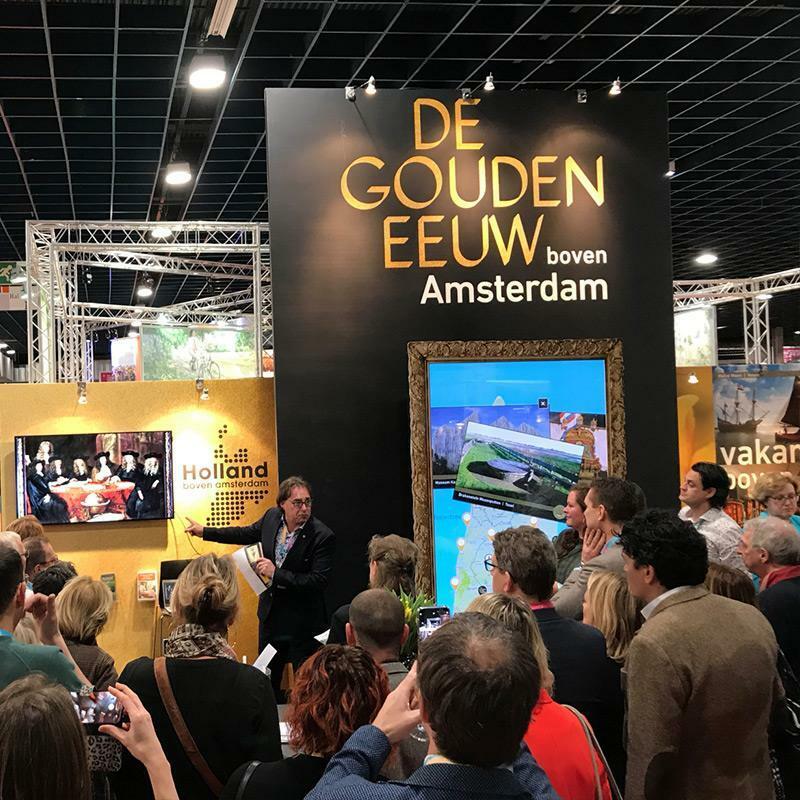 At a trade show Holland boven Amsterdam presents monuments from the Golden Age. 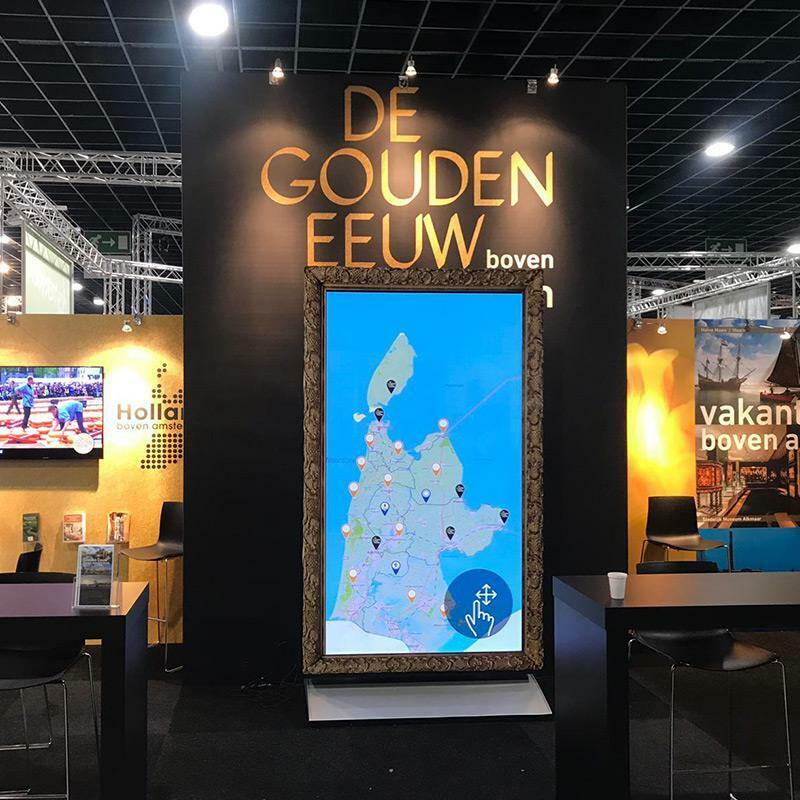 Via an interactive map, which is displayed on a 103" touchscreen, visitors can see what Holland has to offer, such as photographs of windmills, dikes, polders, villages, cities and nature reserves. 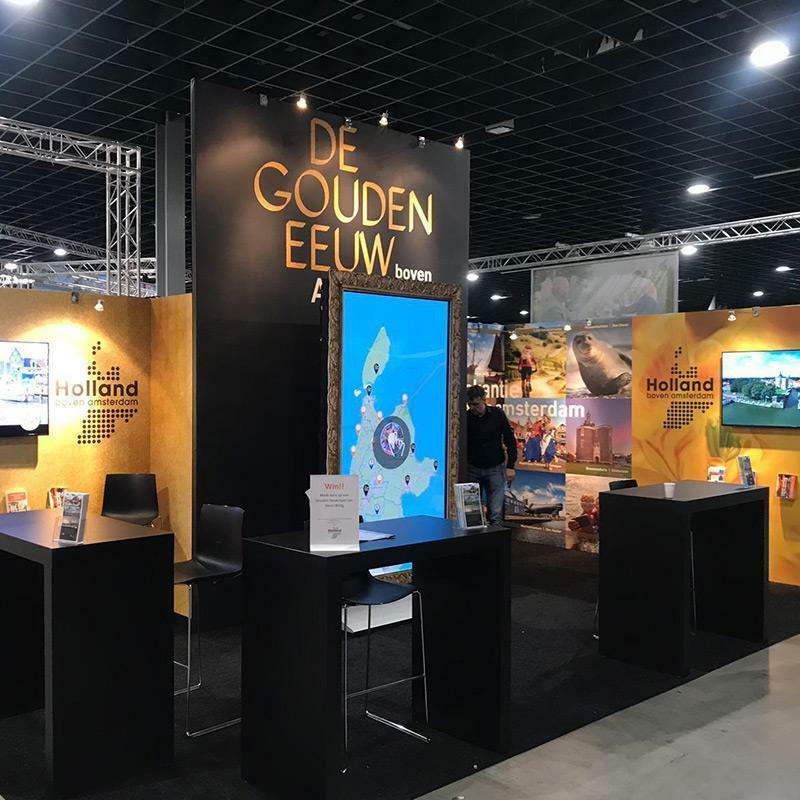 Henk Velders of Campaigns & Results: "Again the large-format touchscreen is a big hit at the stand of Holland over Amsterdam during a trade show, everything runs smoothly and the opening was a great success."